Chicago, IL, April 10, 2019 — Two years ago Atla announced the beta launch of the Atla Digital Library. 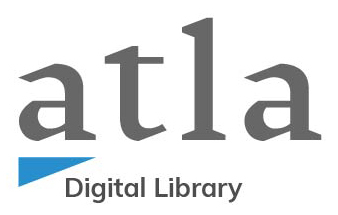 After two years of development and upgrades, Atla is excited to announce that the Atla Digital Library is now available in its full release and invite and encourage members and other institutions to participate through contribution of their digital collections’ metadata. Currently, the Library is ready to harvest metadata from participating institutions that have existing hosted digital collections. In the near future, Atla is looking to explore adding the capabilities to host digital collections for institutions that do not have a platform in place. They are immediately able to harvest metadata for digital collections available online through a content management platform with OAI-PMH enabled, such as CONTENTdm, Omeka, Islandora, and others. And will soon add the capability to harvest metadata from Internet Archive for those institutions whose digital collections are available through that portal. To learn more about how to become a Contributing Institution, please visit our Participate page. Established in 1946 as the American Theological Library Association, Atla is a membership association of librarians and information professionals, and a producer of research tools, committed to advancing the study of religion and theology. Atla’s membership includes more than 800 individuals and libraries at academic institutions from diverse religious traditions and backgrounds. As a community of collectors and connectors, Atla works to promote worldwide scholarly communication in religion and theology by advancing the work of libraries and related information providers. Christine Fruin, Scholarly Communication and Digital Projects Manager, cfruin@atla.com.